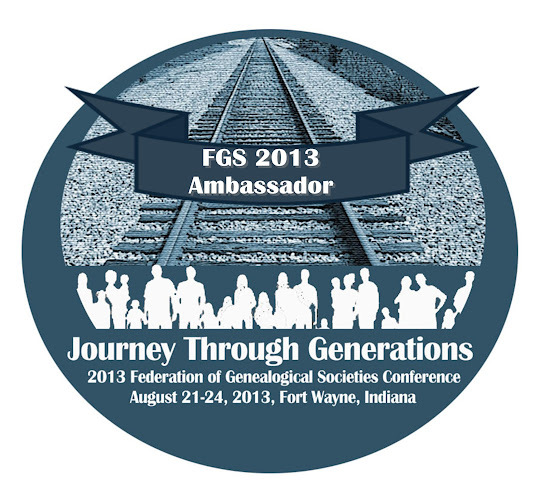 Educational opportunities abound in the world of genealogy! These opportunities have always been around in the form of books, local society programs, conferences, community education programs, etc. But with the advances in technology, there are even more opportunities available. In this post I will share a variety of educational opportunities that you can take advantage of. There are so many books out there on how to research your family history. From books for beginners, to general genealogy research and practices, to using the internet, to specific topics such as land records and cemeteries—there’s tons! I wrote about books for the letter B in this challenge, so I’m not going to repeat the same thing here. Instead, please refer to the post Family History Through the Alphabet – Books. I highly recommend finding a society in your local area where you can attend their programs and meet other genealogists. Nearly all of the state and national societies (speaking from a U.S. perspective) have an annual conference. Some are one day, while others are multiple days. There are usually several different speakers and presentations to choose from, covering a variety of topics. There are plenty of local societies that also hold small conferences or workshops. These are usually one-day events and may have one speaker present a few different lectures. In almost all cases, you do not have to be a member to attend these conferences/workshops. You may get a discounted rate if you are a member, though. To learn about what’s coming up around the world, take a peek at a new website called Conference Keepers, which includes all types of events from local society programs to national multi-day conferences. Webinars are live presentations that you can attend via the internet. They have become very popular in the genealogy community and there are plenty to choose from and many are free to attend. In some cases a recording of the webinar is available for purchase on CD or as videos to members of the host society. Here is a listing of the vendors, societies, and individuals who currently provide webinars. Legacy Family Tree – The flagship for genealogy webinars, Legacy Family Tree produces about one webinar a week. They are free to attend and the recordings are available for free for about 10 days after the live session. A recording, along with a handout, can be purchased on CD. RootsMagic – These webinars typically focus on using the RootsMagic software, but there are others that cover a variety of genealogy topics. You can attend the live session for free; recordings are posted for anyone to view at any time. Southern California Genealogical Society – SCGS offers two webinars each month. They are free to attend live and recordings are available to SCGS members through the members-only section of their website. Illinois State Genealogical Society – ISGS holds one webinar each month and are free for anyone to attend. Recordings are available to ISGS members through the members-only section of their website. Utah Genealogical Association – UGA hosts one webinar a month, which anyone can attend for free. Recordings are available to UGA members through the members-only section of their website. Georgia Genealogical Society – GGS holds one webinar each month. They are free to attend live and recordings are available to GGS members through the members-only section of their website. Friends of the National Archives—Southeast Region – Hosts one webinar each month and are free to attend. Recordings are available to Friends members through the members-only section of their website. Michael John Neill – Michael offers a variety of webinars that usually cost about $4 to attend. You can also purchase recordings through his website. DearMYRTLE – Good ol’ Myrt hosts a variety of webinars, which are free to attend. She even provides recordings of all the recordings here, which can be viewed for free by anyone at anytime. For upcoming webinars, refer to the GeneaWebinars calendar. Looking4Ancestors – Kathryn Lake Hogan produces webinars periodically, which are free to attend. Recordings can be purchased through her website. For upcoming webinars, refer to the GeneaWebinars calendar. In addition, you can also check out GeneaWebinars, which is a blog and calendar of upcoming webinars. I only know of three programs that fall into this category (if you know of others, please share them in the comments of this post). There is one formal program, that offers a traditional degree. The other two are considered “continuing education” programs that are affiliated with a university and offer a certificate program. You might also find courses or certificate programs offered at a community college in your area. Brigham Young University – Earn a Bachelor’s degree in Family History. A minor and certificate program are also available. National Institutes for Genealogical Studies – Online educational opportunity that offers various certificate programs in genealogy. With the successful completion of a certificate program, you are awarded the postnomial PLCGS (Professional Learning Certificate in Genealogical Studies). NIGS is affiliated with the Continuing Education Division of the University of St. Michael's College in the University of Toronto. Boston University – Offers a certificate program in Genealogical Research, which is a 15-week online program. Also offers a 4-week Genealogical Essentials course. Institutes are an intense, week-long, hands-on learning experience. Instructors are experienced researchers who a prominent in the genealogical community. Typically, there are several tracks to choose from, picking one that you follow throughout the week. Below are links to the various institutes. NGS American Genealogy: Home Study Course – This is a multi-lesson course available via CD. It’s a comprehensive, hands-on learning experience (you can view the detailed syllabus here). Assignments are submitted and feedback is provided for each. Once you complete all three CDs, you will receive a certificate of completion. Family History Skills – Free to NGS members, designed for those who are new to genealogy or need a refresher. PDF Courses – There are a handful of PDF courses available, currently including Genetic Genealogy, the Basics, Introduction to Civil War Records, and Working With Deeds. Online Courses – These are interactive courses that are conducted online. Currently, there are two course available: Special Federal Census Schedules and Transcribing, Extracting, and Abstracting Genealogical Records. I hate to say it, but if you’re not participating in some form of social media, you’re missing out on a great education opportunity that’s completely free. Some people are on every social media network available, but the three that I think are most important to the genealogist, in terms of education, are Facebook, Google+, and Twitter. The following educational opportunities don’t fit into any specific category above, but are just as important. YouTube – There are tons of videos on YouTube about genealogy and history. If you head over to my YouTube channel, you can see a list of my favorite channels. Family Tree University – Education in the form of online courses, independent study courses, and webinars. There is a cost associated with each. FamilySearch Learning Center – Hundreds of educational videos covering oodles of topics. Watch and learn at your leisure, for free. FamilySearch Research Wiki – A great place to look for information about researching a particular location or record type. Free Online Courses from BYU Independent Study – Various genealogy and family history topics, as well as a variety of other non-genealogy topics including gardening and personal finance. I hope you’ve found some ideas for seeking out different educational opportunities. I tried to cover a variety of outlets in hopes that you’ll find one or two that suit your needs. If you have ideas you’d like to share, please do leave a comment! Julie your post reinforces a recent talk that I went to about Genealogy Education and how important it is, and how many options to increase your knowledge are out there.